Day 1: Instant Download! Crescent Moon page, an Info Sheet, and a Moon Phase Calendar to fill out. 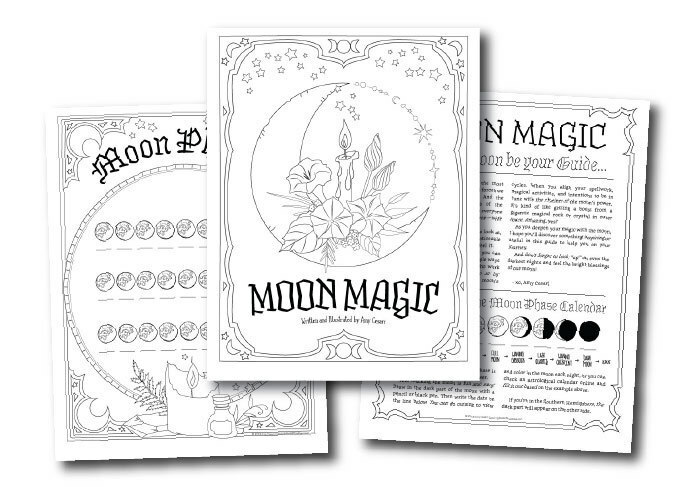 Day 2: Moon Phase Magic and Moon Water! Day 3: “It’s Just a Phase” witchy coloring page. 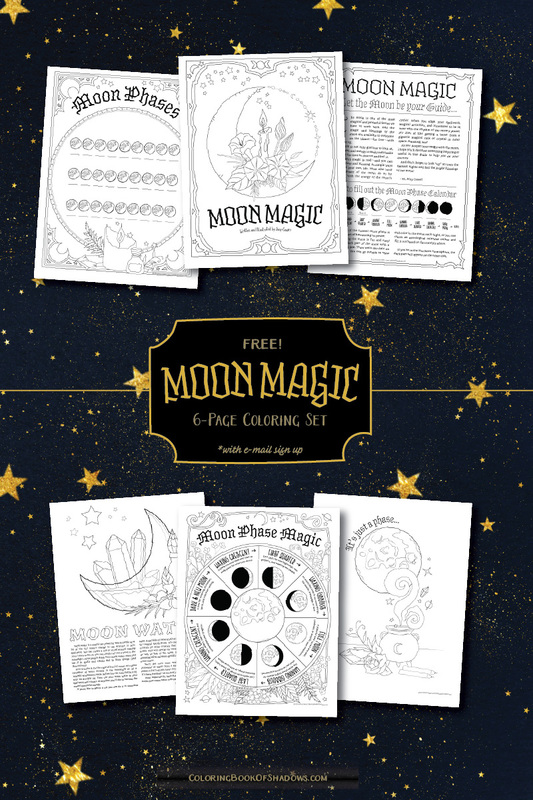 Once you’re signed up, I’ll send even more exclusive, magical free pages several times throughout the year.